"England's dancing days are done"
Live In Chicago 12.19.98 (2001), Live Trax Vol. 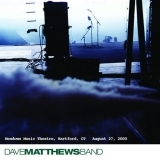 3: Hartford, CT August 27, 2000 (this album) (2005), Live Trax Vol. 9: Las Vegas, NV March 23-24, 2007 (2007), Live Trax Vol. 9: Las Vegas, NV March 23-24, 2007 (2007), Live Trax Vol. 11: Saratoga Springs, NY August 29, 2000 (2008). Sorry, no matches on eBay for "The Maker Dave Matthews Band".